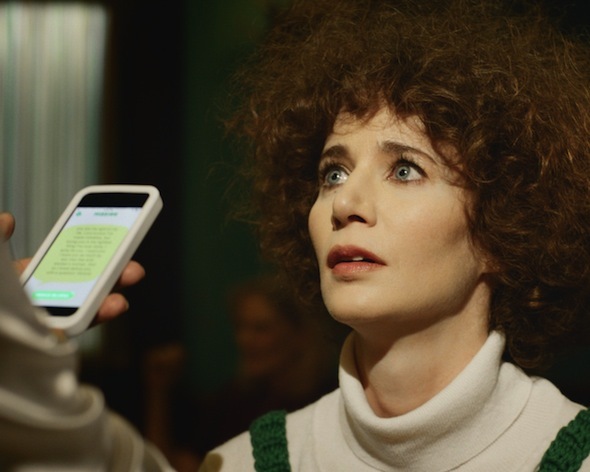 Rhizome | Blog Posts tagged "Miranda July"
Lauren Cornell | Thu Aug 28th, 2014 12:15 p.m.
Miranda July's messaging service Somebody is presented as part of First Look, the New Museum's ongoing series of digital projects, now co-curated and copresented by Rhizome. Because the app relies on face-to-face interaction, the New Museum (along with other sites around the world) will serve as a "hotspot" for users of the app. Miranda July, Somebody, 2014 (still, featuring July). 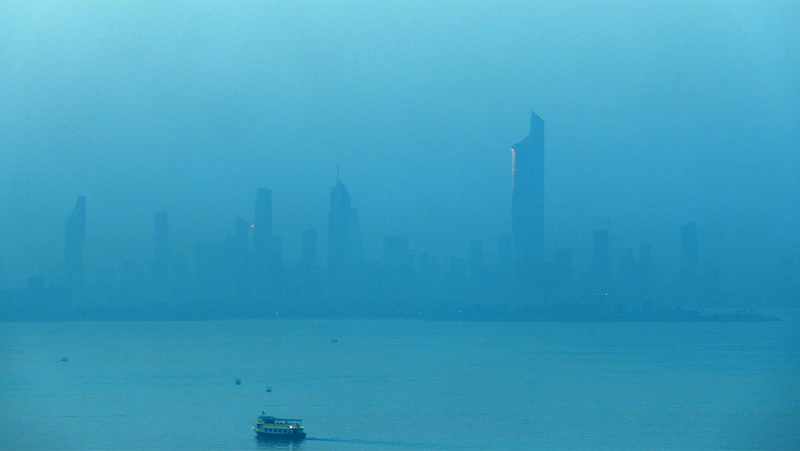 Video, dir. Miranda July. Courtesy the artist and Miu Miu. In Miranda July's 1998 experimental video The Amateurist, a young woman with a jet-black pixie haircut in a stiff professional dress (played by July) studies a TV set displaying a fuzzy surveillance feed of a blonde woman (also played by July), who is squirming in the corner of a small cell. While speaking to the camera, the pixied professional reels off all sorts of absurd quantifications and explanations of the surveilled woman's movements. She maps her emotions to a numbered grid, psychoanalyzes her behavior, quips about her habits, and consistently runs roughshod across boundaries between doctor and patient, subject and object, viewer and viewed, public and private, in what is ultimately an excessive examination without any apparent justification. Since the video was produced, July's body of work has expanded from video and performance to include online works, novels, and feature films—all of which attempt to dissolve boundaries between fictionalized personae, or between the artist and her audience. It's significant to note that July started out in the experimental-video scene of the '90s, since so much of her work is about how the adaptation of new technologies affects us on a very personal level. Regardless of medium, her works reflect how broad social changes inflect our most intimate relations. Michael Connor | Tue Jul 2nd, 2013 11:22 a.m. There is a scene in the movie Airplane! (1980) in which a young boy suddenly recognizes the real-life actor who is playing the character of co-pilot Roger Murdoch. "Wait a minute!" he exclaims. "I know you! You're Kareem Abdul-Jabbar!" The scene breaks the "fourth wall" to comic effect. Most viewers in 1980 would have recognized Abdul-Jabbar instantly, but the conventions of performance dictate that we try to pretend that he is just an ordinary schmoe in the cockpit. By "recognizing" Abdul-Jabbar, the boy calls attention to these conventions, and breaks the tension for viewers who were probably struggling to see the six-time MVP of the NBA as an airline employee. Such an acknowledgment is missing from a more recent project involving Abdul-Jabbar, Miranda July's We Think Alone.